We’d like to introduce you to Pros On Call. Our full-service, fully licensed, bonded and insured locksmith company serves customers throughout this area. We hope you’ll request our assistance whenever you seek capable, honest 24-hour locksmiths in Chandler, Arizona. Pros On Call offers a complete array of essential locksmith skills. We assist customers seeking a fast emergency locksmith to resolve an accidental lockout from a residence, a business, or a motor vehicle. Pros On Call has continued Chandler’s tradition of combining old and new trends. We possess familiarity with locks produced by leading manufacturers, including Yale, Master Lock, and more. Our technicians are able to service both conventional metal lock mechanisms and innovative high-tech digital, biometric and magnetic locks. When you require the skills of a well-trained, knowledgeable local locksmith, we hope you’ll think of us! We value our customers. We offer individualized consultations concerning lock and security system options. Contact us for rapid assistance if you require a security audit of your locks for insurance purposes. And, when it comes to lock services such as lock changes, rekeys and more, no one does it better than Pros On Call. We will arrive at your location quickly whether you are standing on your front porch or stuck without your car keys at the Chandler airport. For example, Pros On Call repairs locks and ignition cylinders on all makes and models of vehicles. We’ll send a team to your location to provide fast assistance. Whether you’ve experienced an accidental trunk lockout, a malfunctioning transponder key, or key fob problems, we can help! We perform broken key extractions without damaging auto ignitions, and we can replace all types of car keys at your location. Call us to obtain rapid automotive lock services. We repair magnetic locks, install master key systems, and fix malfunctioning door closers, too! We can also install or repair install panic bars CCTV systems and so much more. Count on us for all your commercial locksmith needs. To schedule an appointment now, simply contact Pros On Call. We offer a full range of lock services: emergency, automotive, commercial and residential. Our team looks forward to helping you! Chandler: Modern Tech And Ostriches? Today, bustling Chandler, Arizona has become a technology center in Maricopa County. This dynamic, modern community on the outskirts of Phoenix appeals to a growing number of computer and biotech firms. Yet few people in this area realize our city once served as a hub for the hat industry. At the turn of the Twentieth Century, fashionable ladies frequently wore ostrich and peacock plumes: they depended on birds raised in Chandler to help them enjoy the latest styles. Chandler ostrich ranchers reportedly sold the prized feathers by the pound! But today, it’s all about high-tech locks and security. And that’s where we come in! 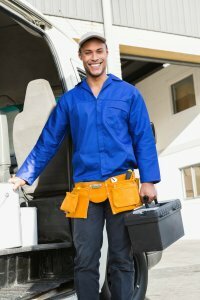 24-Hour Locksmiths In Chandler AZ https://prosoncall.com/arizona-locksmith/chandler/ 3.8/5 based upon 6 reviews.